Gov. 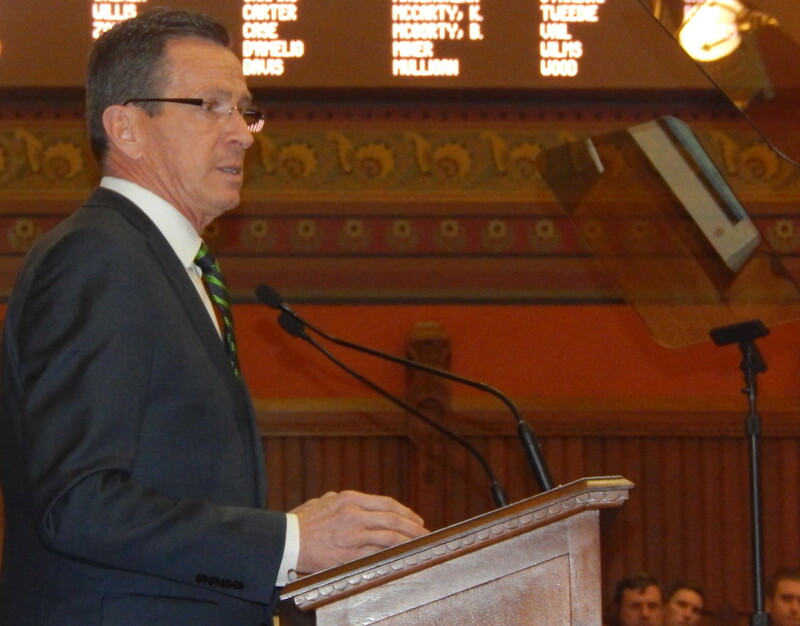 Dannel Malloy delivering his 2016 budget address. As they try to cut more than $34 million from their budget, officials at the Department of Mental Health and Addiction Services say they anticipate reducing the number of treatment beds available – a prospect that worries hospital officials and mental health professionals. Patricia Rehmer, president of the Hartford HealthCare Behavioral Health Network, who until last year served as the state’s commissioner of mental health and addiction services, said the possibility of losing beds was concerning, and noted that there’s already a waiting list for state-operated psychiatric beds. As of last week, there were 33 people on it, most of whom were waiting in general hospital inpatient units. “I’m not sure of the system’s ability to absorb this,” Rehmer said. But Jeff Walter, interim CEO of the CT Community Nonprofit Alliance, which represents community treatment providers, said that while having fewer state-operated beds would reduce access in a system with little excess capacity, private community providers are interested in expanding their services – if the state makes the resources available. Under Gov. Dannel P. Malloy’s proposed budget, the Department of Mental Health and Addiction Services faces nearly $72 million in cuts from the $680 million originally budgeted for it in the upcoming fiscal year. That includes $34.5 million in unspecified savings. Department officials told members of the Appropriations Committee in writing last week that, “We anticipate a reduction in beds in our service system under the proposed budget,” but said they had not yet determined where the cuts would occur. 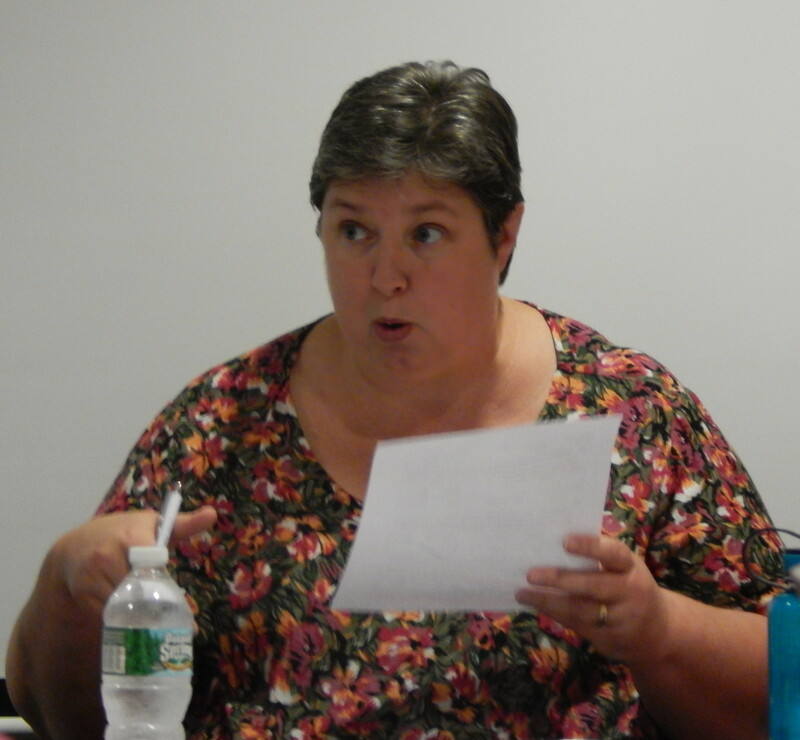 DMHAS spokeswoman Diana Lejardi said Wednesday that no decisions have been made about how resources would be allocated, including final decisions about closing substance abuse treatment or psychiatric beds. “This is a very involved and difficult process, however, DMHAS is committed to best serving our clients to reflect necessity and utilization within our available resources,” she said. The state currently operates 786 substance-abuse treatment or psychiatric beds, and funds private nonprofit providers that operate 1,333 substance-abuse treatment beds and 353 mental health beds. DMHAS’s written comments to the Appropriations Committee said that, on average, 90 percent or more of the beds are filled – a rate hospital officials say is very high. While DMHAS has not identified what beds it might close, department officials last October included the closure of a 20-bed detox unit at state-run Connecticut Valley Hospital in a list of budget-cutting options prepared at the request of Malloy’s budget office, forecasting it would save $4.6 million. Officials wrote that they were confident people needing medically managed or monitored detox would still be able to access the services based on the capacity among community providers and the availability of the services at many general hospitals. But those who work in the private sector questioned whether it would be possible to absorb any loss of state beds. Dr. Tait Michael, medical director of community health at Western Connecticut Health Network, works on teams focused on patients who frequently end up in emergency rooms at Danbury and Norwalk hospitals. Each team sees three to five patients per week who could be court-ordered into treatment for alcoholism because of how severe their conditions are – but who can’t be placed into treatment because there are no beds available for them, Michael said. Generally, the only beds people can go to in those situations are the detox beds at Connecticut Valley Hospital, she said. Rehmer said there’s been an increase in demand for substance-abuse treatment. And she worries that if there are fewer beds, it will be harder to act at what she calls “that pivotal moment” when a person decides he or she is ready for help. If there’s no bed available at that time, she said, the willingness might be gone before a bed opens. What about the possibility of reducing the number of psychiatric beds? Are state and private beds interchangeable? Beyond concerns about overall capacity, several psychiatrists and hospital officials said the beds the state operates are not interchangeable with those the private sector operates, because the state often takes patients who are more medically complex, lack private insurance or need longer-term treatment than hospitals or community programs generally provide. While hospitals can take patients who need detox, DiPietro said it’s not the right setting. The staff in detox units specialize in addiction and work with patients on recovery issues; and, at Connecticut Valley Hospital, work to get people into rehab immediately after detox – the most vulnerable time for a patient, she said. By contrast, she said, staff in medical units address a patient’s medical needs but don’t generally have the training to talk to patients about their addiction problems. General hospital psychiatric units generally provide short-term inpatient treatment – typically to address an acute issue, said Dr. Charles Herrick, chair of psychiatry at Danbury and New Milford hospitals. Connecticut Valley Hospital provides longer-term treatment. But when those beds are full, people waiting for longer-term beds can spend 70 to 100 days in acute-care hospital beds, which DiPietro said don’t offer the kinds of services, such as skill rebuilding, that a longer-term facility provides. And that can create a backlog in the system, DiPietro said, reducing spots in acute-care hospitals for people who need short-term beds. Some then have to go to hospitals farther from home, where it’s harder for family to visit or to be connected with local service providers who will work with them when they get out. It’s also more expensive for people to receive treatment in acute-care hospitals than longer-term beds, Herrick said. If the state were to close psychiatric beds, Rehmer said, officials would have to think about funding other beds for people who need more than 7 to 15 days of inpatient treatment. Could the private sector replace state beds? On one level, “It’s crazy to think about closing beds at this point in time,” said Walter, from the community provider organization, noting the ongoing surge in opioid use. On the other hand, he said, there could be an opportunity to save money by shifting state services to the private sector – if some of the savings are spent on increasing capacity among community providers. “If the state is going to move forward to close those beds, they need to maintain enough funding or have some of the savings go into increased capacity in the community and at reimbursement rates that are sustainable,” he said. But hospital-based psychiatrists and others were less confident about the private sector’s ability to replace state-run beds. Michael said it can be difficult to get patients into a private rehab or detox facility if, for example, they had suicidal thoughts in the past or have medical conditions such as diabetes. “I don’t think those beds are replaceable,” she said of those operated by the state. Similarly, Stephen Merz, vice president and executive director of behavioral health at Yale-New Haven Psychiatric Hospital, said state detox facilities are generally the only places where emergency room patients are able to be placed. Walter said difficulties getting patients into community facilities often reflects a lack of capacity. Legislation passed last year called for state agencies to conduct a study on the adequacy of psychiatric services, including the number of short-term, intermediate and long-term psychiatric beds needed in each part of the state. If DMHAS moves to close beds, Schiessl said, it could occur while the department is studying whether those beds are needed. And the governor’s office noted that overall DMHAS funding has grown in the past five years, and that Malloy’s budget proposal did not subject funding for staff at Connecticut Valley Hospital or a major funding stream for mental health treatment to the 5.75 percent across-the-board cuts many other programs in state government are facing.